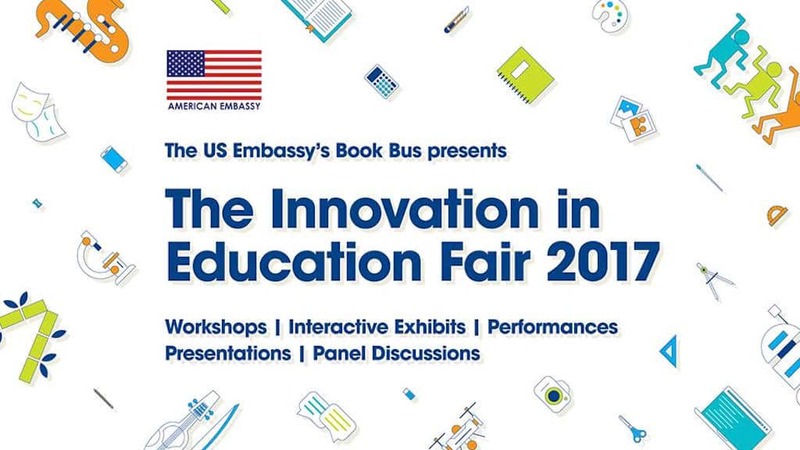 The Innovation in Education Fair 2017 held in Kathmandu in August was also replicated in Pokhara in September. I repeated the workshop I conducted in Kathmandu. The participation level was not as high as in Kathmandu. But reproduced below, verbatim, are the anonymous feedback Book Bus received about my workshop from them. The numbers to the left are a rating from 1-10. 10 being outstanding. 8 You and your teamwork will come soon in our school and we will conduct your experiments also. 10 It is better to supply the relative science teaching & learning activities to the developed country through you sir. 9 Conclusion of sir is needed for me. 9 Time limitation, open the floor for students for a particular experiment. 7 Time limited, preparation of questions in the floor. 8 It would be better if the workshop was longer. It would be better to increase the number of activities. 8 Good science experiment and creative questions and brief answer. 8 Time period for workshop could be a little bit longer. 8 It’s good that we got an opportunity to participate. Hope this kind of program should be organized frequently and try to engage large number of school teacher mainly from remote places. 6 More collaboration will be beneficial. I had a wonderful time but please start on time.